Here’s another sweet friendship story with these two characters! Duck and Hippo Give Thanks is part of the Duck and Hippo series where two animals with very different personalities are the best of friends. 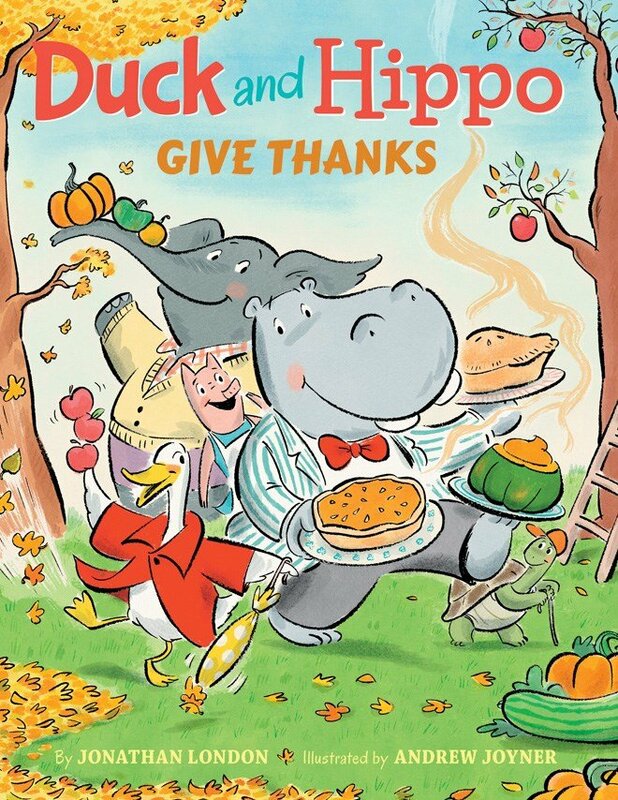 Duck and Hippo invite all their other friends to a “good old-fashioned” Thanksgiving. Of course, Hippo knows exactly what this entails: pumpkin pie, apple pie, and acorn squash. Duck, on the other hand, knows how hard Hippo has worked on making Thanksgiving special. She wants Hippo to feel special, so she tells her friends to make a surprise dish for Hippo. 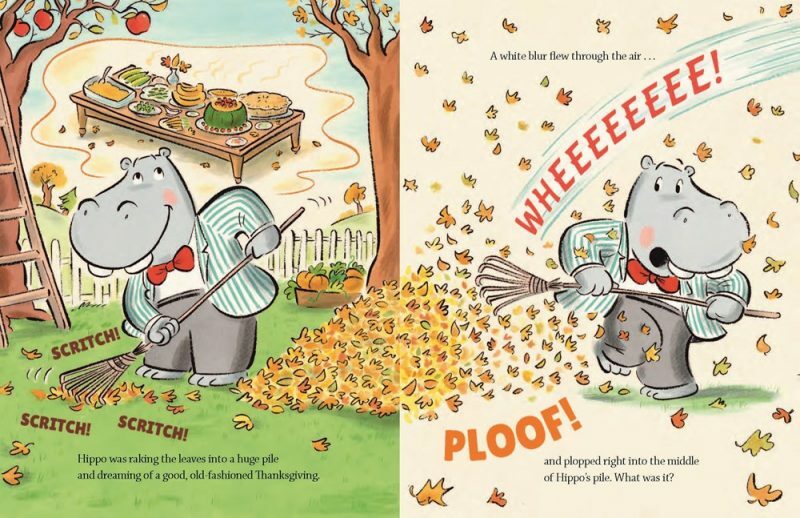 None of the surprises are “good old-fashioned” Thanksgiving foods, but Hippo realizes that Thanksgiving isn’t really about the food…it’s about friends. This is a very sweet book that you and your children will enjoy reading together this holiday season. Jonathan London is the author of more than one hundred children’s books, including the Froggy series, illustrated by Frank Remkiewicz, which has sold more than fifteen million copies. Jonathan lives in Graton, California. Learn more at Johnathan London. Andrew Joyner is an Australian illustrator and author whose work has been published in more than twenty-five countries. He has created the artwork for many picture books, and he is author and illustrator of a chapter book series about a warthog named Boris. Andrew lives in South Australia. Learn more at Andrew Joyner. There’s more fun with Duck and Hippo in the free downloadable activity pages.